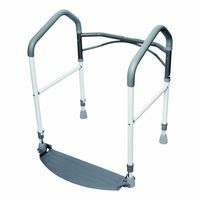 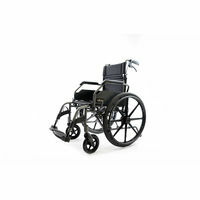 This is a great value wheelchair with medium sized wheels and attendant brakes. 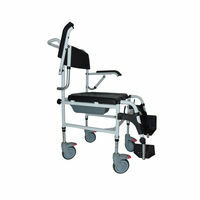 Can be used as a self-propelled wheelchair as well as an attendant wheelchair. 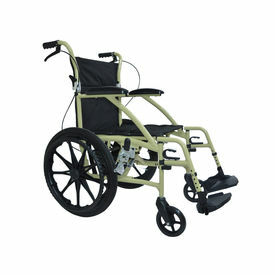 Comes in metallic graphine and metallic champagne, though the champagne color is a little greenish/yellowish in color.The armrests are fixed, but the footrests are removable. 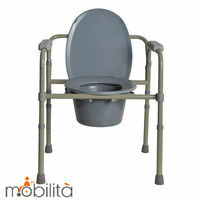 The armrests are low and comfortable. 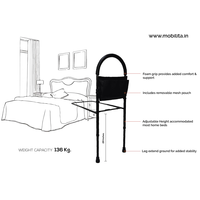 The back is foldable which means that the wheelchair becomes quite compact when folded allowing it to be transported easily. 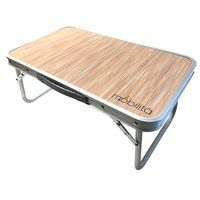 Fits even the smallest hatchback, either in the boot or in the backseat.The upholstry is comfortable for sitting for a few hours at a time. 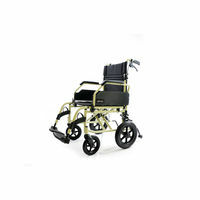 Made of aluminium and powder coated, the wheelchair is sturdy and rust-proof.